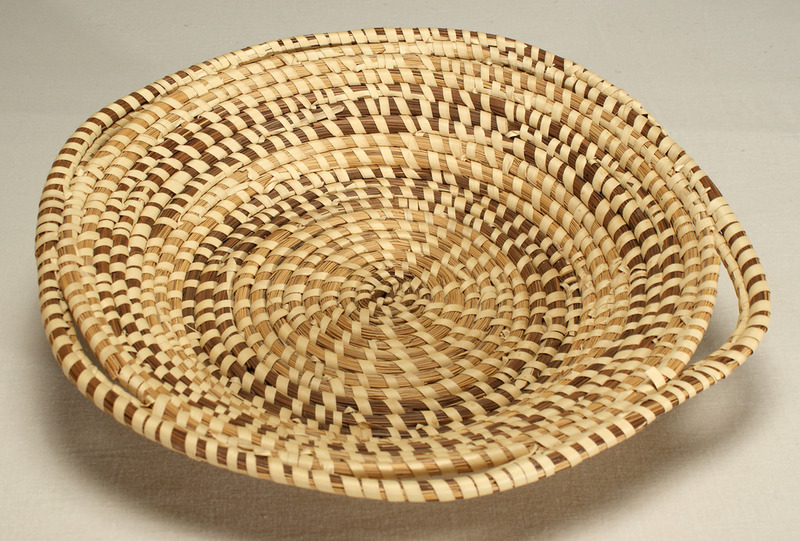 Basket woven from a mix of sea grass, pine, and palmetto; from lowcountry region of South Carolina and Georgia. Photo by Mathers Museum of World Cultures/Flickr (Noncommercial Use Permitted with Attribution). The North Georgia Folk Festival was originally organized by the Georgia 4-H Foundation and the University of Georgia Cooperative Extension. According to Georgia's Secretary of State; "Thousands of delighted Georgians and tourists watch seamstresses spin yarn, blacksmiths hammer horseshoes, basket makers weave strips of white oak, and musicians play fiddles and banjos at the Georgia Folk Festival."